Featuring all the technological advancements of exposed shower valves, Crosswater's bath shower mixers add a new dimension to standard bath filler designs. 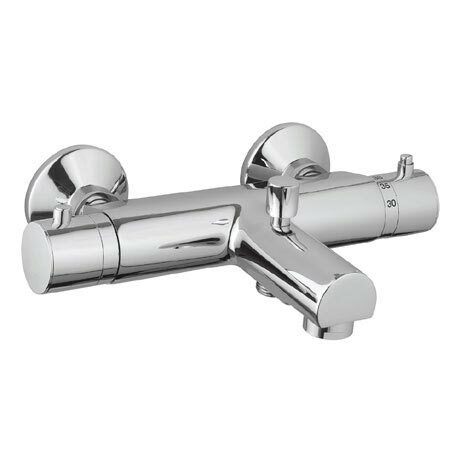 The Kai TMV2 Thermostatic Bath Shower Mixer features a quick reaction diverter to conveniently alter the flow between the bath and shower for a safe bathing experience and is ceramic disc controlled for a smooth turning action. Comes complete with a 15 year manufacturers guarantee.